How do I view course activity for an account? 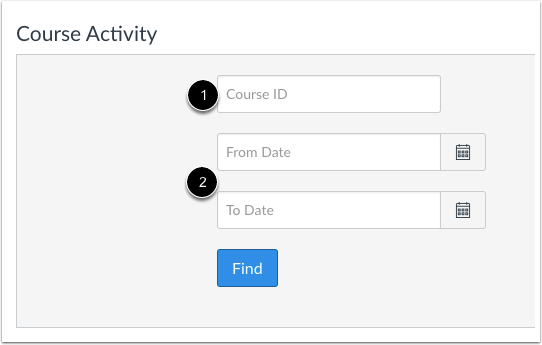 As an admin, you can generate a course activity log for a course in your account. This log includes a time-stamped overview of all activity for a course, including user name, activity type, source, and a link to view the activity details. In Global Navigation, click the Admin link , then click the name of the account . In Account Navigation, click the Admin Tools link. 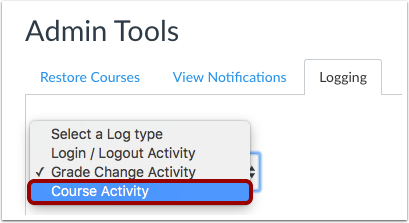 From the log type drop-down menu, select the Course Activity option. Search by course ID or course name . You can locate your course id number at the end of your course URL (i.e. canvas.instructure.com/courses/XXXXXX). 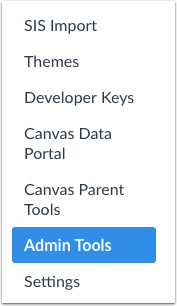 Once you start to type the course information, Canvas will generate a drop-down list of matching Canvas courses. Results are based on valid field entries, so if no results appear (especially if searching by name), confirm the information and try again. You can also enter a date range in the date fields . Dates are not required, but adding dates will narrow your results. Previous Topic:How do I view grade change activity for an account? Next Topic:How do I restore a deleted course in an account? 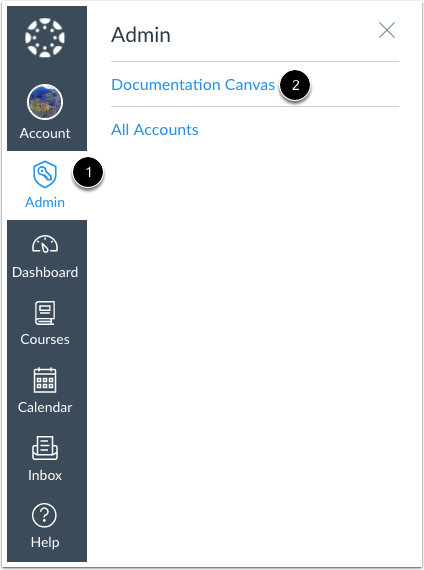 Table of Contents > Admin Tools > How do I view course activity for an account? Re: Pages are suddenly duplicating themselves. How is this happening? Re: Can I see when a quiz was edited?